Princeton House Charter School has become an amazing partner with Bluebee Pals for therapeutic use,. This is a very special school dedicated to children with Autism who’s teachers are determined to apply creative forms of technology in their classrooms. Teachers and therapists collaborate on the various applications to integrate Bluebee Pals in classroom academics, social activities and speech therapy sessions. 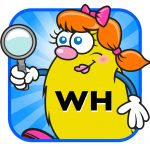 What is this cutting-edge school using to enhance learning and interaction?The teachers at the school use Early Reading Skill Building apps, and then pair the apps with activities from familiar books and pictures to help the students generalize the materials being taught. Bluebee Pals are the one consistent measure to help with that transition every step of the way! By playing the learning app with Bluebee and then using either a book or voice recording to reinforce the lesson with your trusted friend – it reinforces the lesson with the use of Bluebee as a support and reference point with transitions of materials. In addition, therapists utilize Bluebee as a effective speech therapy motivational tool to engage in communication and learning. Bluebee participates in repeating words, answering questions and reading stories. 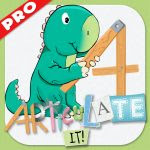 There are variety of popular speech apps from basic to apps to AAC apps for non verbal children. What are the main apps mentioned? 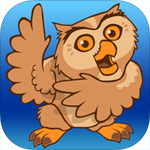 Text to Speech Apps with reading activities, Proloquo2Go is an AAC app to enhance communication, Autism ihelps Apps teaches vocabulary, Super Duper Publications for speech, Smarty Ears for speech and Splingo for speech and language acquisition. Early Reading Skills Builder Curriculum http://www.attainmentcompany.com/ersb – This is a blended curriculum using traditional tools and manipulatives to create an immersive experience. Using Bluebee helps improve motivation and attention by being a non-threatening presence in which to deliver material. “Text to Speech Apps with Reading Activities involving the use of Dynamic words to help expand the ability to write,” said one teacher at PHCS. Favorite Storybooks from Oceanhouse Media, Spinlight, Speakaboos, and many stand-alone books have a read to me option, that can be used to allow Bluebee to communicate the story. Many books have been reviewed on this site under Blogs. It is nice to set up a cozy reading corner with Bluebee whispering the text in your ear. He/She is always ready for a grand story or two! Proloquo2Go is an AAC app to enhance communication for children that lack a means for verbal communication. At the Princeton House Charter School, teachers are using this app in conjunction with preprogrammed questions for such popular class stories as in the Pete the Cat series. This allows Bluebee to ask questions, have children follow directions, and engage them in conversations to increase their pragmatic/social language skills. Therapists have made visual supports for Bluebee via Boardmaker Online software to accompany a story or as a precursor to using AAC apps or other devices. Boardmaker has been a standard in the industry for pictorial presentations and visual schedules. Using pictures helps a child learn the sequence of familiar tasks and activities and to identify icons that are most often used in AAC software. Autism iHelp Apps is a suite of apps that teach vocabulary. It can be scaffolded from presenting a picture, pairing a picture with a label, and then needing to identify the picture from a field of 4 objects. The photos are clean and crisp, but more importantly, clutter free. There are many options to customize this to a specific child. The app also includes a data collection feature. Super Duper Publications has an app for everything speech related.They build in fun with their games and activities so children begin to use language in a fluent manner. Learning sticks with these activities, as the material is relevant to its use, and children can then apply it accordingly. Check out their suite of apps under the search “Super Duper Publications” in the iOS app store. Smarty Ears, another company with fun and fabulous apps for speech therapy, and has a wide following with their suite of apps for parents, teachers and speech therapists. Articulate it was created for and by speech pathologists. They cover a multitude of themes to relate to any child’s interest area. Each app is customizable and has a stellar data collection feature. The apps are flexible for use at home, in the classroom as well as in a therapy clinic. Splingo Apps, by the Speech and language Store LLP, is another company with exceptional apps for speech and language acquisition. Follow Splingo the Alien around whilst honing your listening skills. 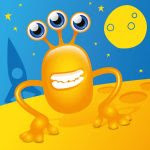 Kids listen to Splingo’s instructions and act accordingly to help Splingo build his spaceship to get him home. 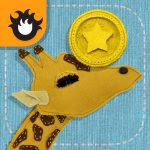 Kids get a kick out of Splingo and the app can be used with early learners using 1-2 words (18 mos.) all the way up to kids following 4 step commands. Check out the videos and the comments from the staff of the Princeton School Charter House under the Bluebee Pals Project! 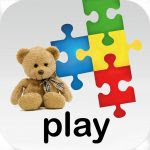 Enjoy insightful articles on Autism written by Leading Therapist Punam Desormes, M.A., CCC-SLP: Speech-Language Therapist-Princeton House Charter School in Orlando, Florida.